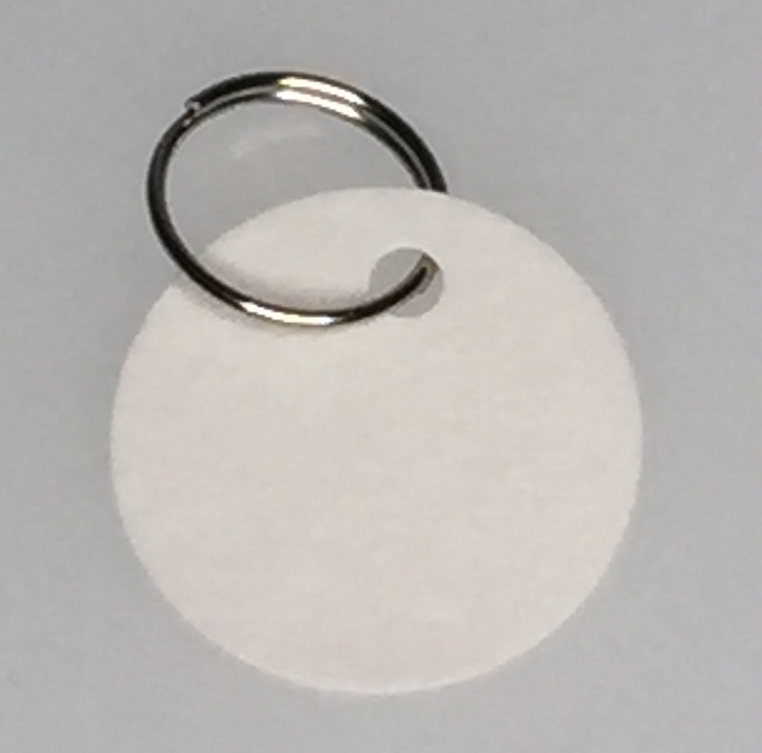 1 1/4" fiber tag with ring. 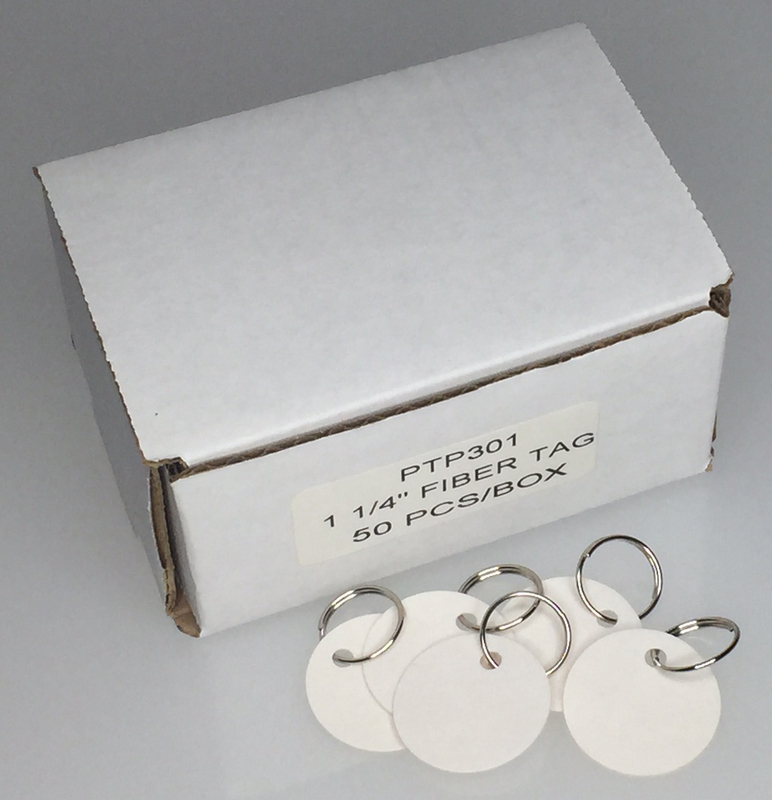 These tags are perfect for small bits of information such as names, prices and other types of identification. Very durable and able to withstand water. 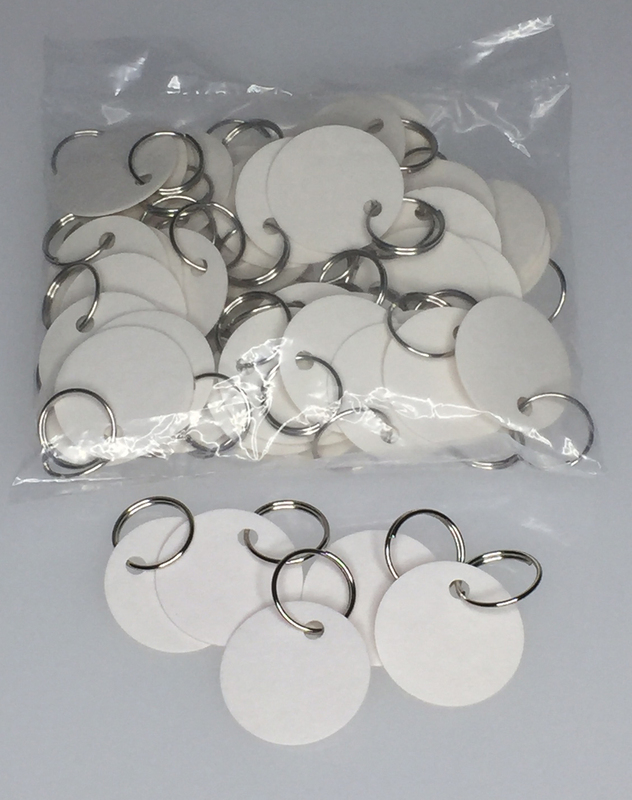 Packaging is 50/Bag.